If Nostradamus were alive today, he'd have a hard time keeping up with Gerald Celente. When CNN wants to know about the Top Trends, we ask Gerald Celente. Gerald Celente has a knack for getting the zeitgeist right. There’s not a better trend forecaster than Gerald Celente. The man knows what he’s talking about. Those who take their predictions seriously ... consider the Trends Research Institute. Gerald Celente is always ahead of the curve on trends and uncannily on the mark ... he's one of the most accurate forecasters around. Mr. Celente tracks the world’s social, economic and business trends for corporate clients. Gerald Celente forecast the 1987 stock market crash, ‘green marketing,’ and the boom in gourmet coffees. Gerald Celente, trend expert, visionary, keynote speaker, is trusted worldwide as the foremost authority on forecasting, analyzing and tracking trends. Celente is publisher of the Trends Journal® and author of Trends 2000 and Trend Tracking (Warner Books). 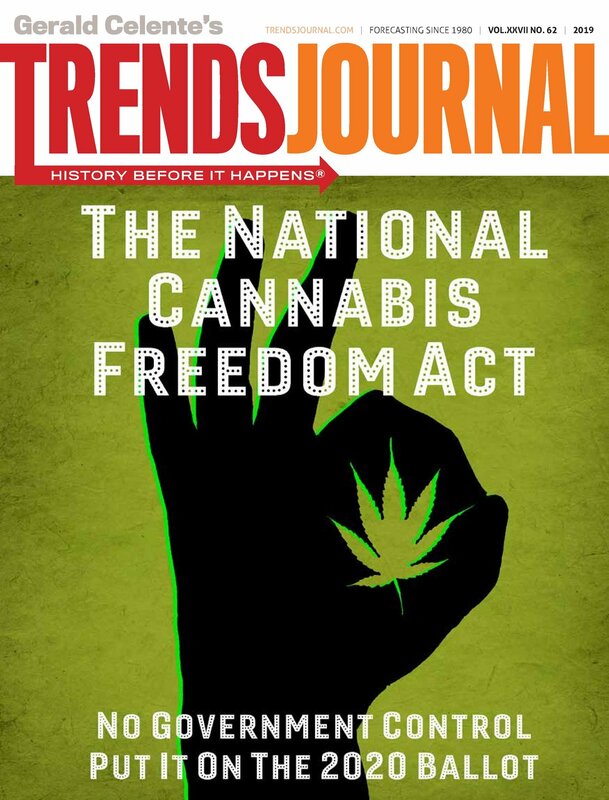 The Trends Journal® is the World's #1 source for the most important trends that are shaping the future. The Trends Journal® shows you how these trends will affect your life, how to profit from them, and what to do to avoid pitfalls. Regardless of business or profession, the Trends Journal® provides insights, strategies and opportunities to help you navigate these treacherous, unprecedented times. Founded by Gerald Celente in 1980, The Trends Research Institute, headquartered in historic Kingston, New York, analyzes world shaping events and forecasts tomorrow’s trends. Read History Before It Happens.® Tomorrow’s trends today. Gerald Celente's Trends Research Institute is now delivering forecasts and analyses across multiple platforms. The value of a subscription has never been greater. Subscribe Today to learn "History Before It Happens®"